If there’s nothing I dislike more, it’s an unsatisfying snack. What’s the point? If I’m snacking, I want it to taste good and leave me feeling satisfied. Am I alone in this? I think not considering the snack industry is BOOMING and that almost all of us snack every day. But there are some pretty awful snacks out there. Foods that don’t give the energy you need to make it to the next meal. That’s why I often turn to homemade snacks, because I don’t have time for awful snacks. So, I’ve already made a recipe for banana bread. And it’s my go-to. But I love to experiment, so that’s where this bread comes into play. Because what’s awesome about cooking and baking is PLAYING. I’m actually just a giant child and still love to play, test the limits and see what happens. Fun, right? Sometimes it doesn’t work out, but sometimes it does and it’s awesome! 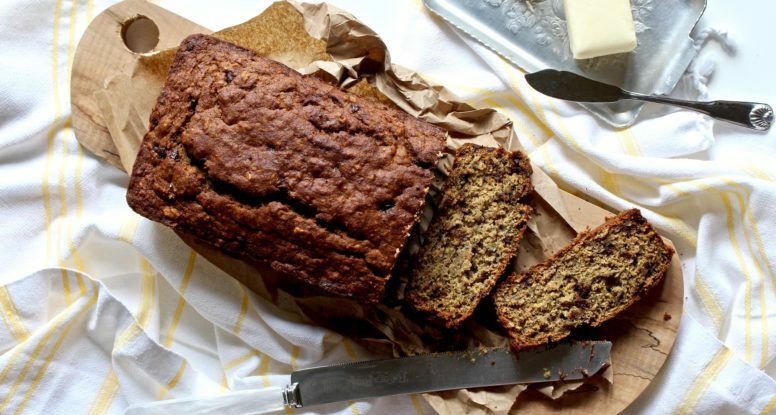 This bread works and I really hope you can go and be a big kid in your kitchen! 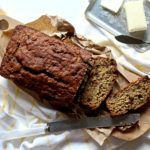 Banana bread gets a nourishing boost with oats and flax seed! 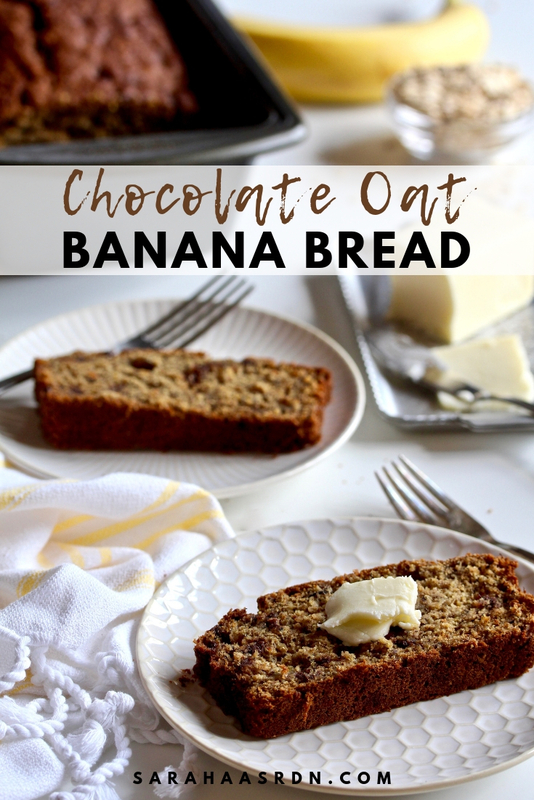 This Chocolate Oat Banana Bread makes for an awesome snack or breakfast! In a medium bowl, combine the flours, oats, flax, salt, baking soda, baking powder and cinnamon. Add to the egg mixture and stir until just combined. Fold in the chocolate chips and then pour into the prepared pan. Don’t have oat flour? You can make your own! Just process old fashioned oats in a food processor until it resembles flour. That’s it! It may seem like a lot of ingredients, but I promise that’s what makes this bread so delicious and filling! Give it a try and feel free to make your own adjustments too!